Get ideas to make money at home, Earn profits by doing business and create an income stream! You too can make money from YouTube. Start your own channel. It’s easy. You don’t need to make any investment for it. Everybody of us watches videos at this video platform. YouTube gets about 5 billion views per day. It indicates that there are lots of viewers to watch your channel and videos and make money. Note that online marketers also use YouTube to run their marketing campaigns. 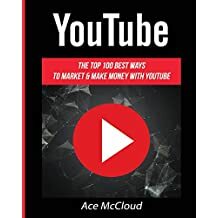 Here, I will guide you how to monetise your YouTube videos easily and successfully. Successful Youtubers earn millions of dollars per year from a single channel. You too can do it. All you should do is to create your channel, upload interesting videos, increase the number of viewers and subscribers and enable monetisation in YouTube settings. Then, you start earning a passive income automatically. A friend of mine created his YouTube channel when he starts studying in China. Due to the language used in his Vblog, his videos are meant only for a limited audience in a very small state of India. However, young people in the state are so excited to learn about China, Chinese customs, their people and development etc. In a short span of 14 days, his channel got over 20,000 subscribers. I found that 1000s of people are watching his regularly uploaded videos. He started his Vblog with his mobile camera, then he used a simple video editing software tool. 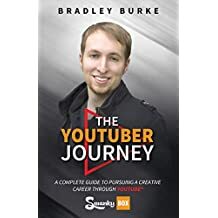 As he started getting some income from his channel, he bought a small video camera and a drone camera for his YouTube videos. He is still working with his channel and enjoying an increasing income. Do you love create videos? Can you shoot videos with your camera or smartphone? Are you interested to create interesting short video tutorials, guides, documentaries etc. If yes, you can do this and make money from your YouTube channel. You can work from India and anywhere in the world. What skills should you have for this? You should be able to use a video camera and shoot videos. You should also able to use software tools to edit videos. Ways to monetise your YouTube channel? More views your videos get, more money you’ll make. You should enable the monetization option. You can link to Amazon products from your videos. You should be an Amazon associate. You can use any other affiliate links to promote. You can even sell directly on YouTube if you have your own products. You can link to your blog for increasing traffic. A. Create your channel: Think of a specific topic to be interested and helpful to visitors. Choose only the topic you know and can work with. Spend some time by viewing other great channels in your niche before you decide to start a popular channel theme. After that, visit www.youtube.com, sign up and name your channel. B. Find what’s missing in other videos: View other related videos in the topic and find any missing story or idea with them. Fill it up with your videos. C. Engage with your audience: Answer the comments from your audience and try to know what they expect from you. D. Know your audience: Try to find out what they like and what they don’t like. Check your most viewed videos and learn why they are so popular. E. Learn from competitors: Study the videos of your competitors and learn why their videos are working. F. Experiment: Try to incorporate new concepts and produce exciting videos to make your audience happy. G. Upload regularly: Remember some of viewers are eagerly waiting for new videos from you. Always upload fresh new videos regularly. If not, they may forget your channel. H. Make them subscribe and share: Upload amazing videos and ask viewers for subscribing your channel to notify them your next wonderful content. Also make them share your video to reach other people in or out of YouTube. I. Keep relationship with other YouTubers: Try to keep good relationship with other YouTubers and work together to achieve your goal quickly. The above are just a few tips to start your channel with. 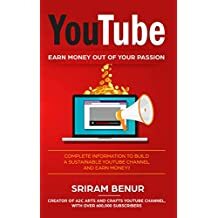 If you want to earn money seriously, you need to become a YouTube expert. You need to learn expert tips and tricks. 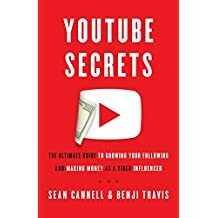 You need to follow the teachings and unlock the secrets of successful YouTubers. A grand success can’t be earned easily. Don’t start blindly. Learning a few valuable lessons from experts and reading some good books will help you achieve your desired goal faster. 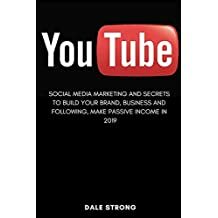 View also Top 10 Best Books for YouTube Marketing. If you have something to say about this page, kindly leave your valuable comments. Also share this page to social media and friends. I will be very happy if someone else could get some benefits from this website. BuyWin Enterprises, 2019. Awesome Inc. theme. Powered by Blogger.